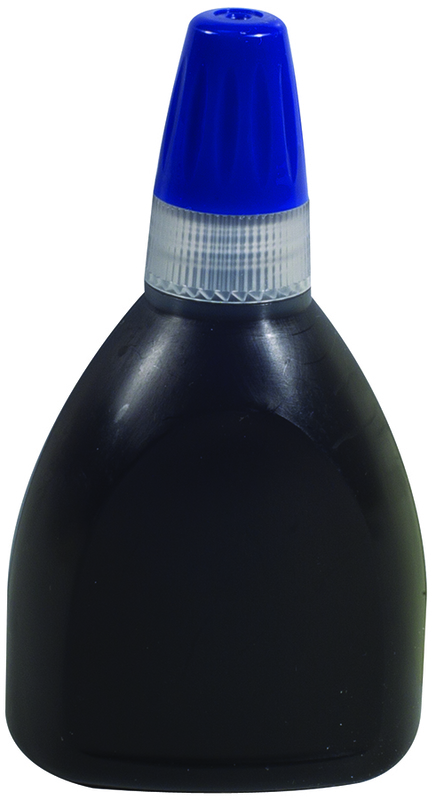 Xstamper Refill Ink (Blue) - 60ml Bottle. Maintain optimal performance of your Xstamper and XstamperVX products. Use to uniformly re-ink the Xstamper Title, Jumbo, Specialty, N-Series Custom, C-Series Custom, VersaDaters, and SlideDater stamps. Each 60ml bottle has a twist cap that stops ink from leaking.